We are a society that thrives on the visual. The most prominent of our senses is our vision and when we see something appealing to us, we just need to see and experience more. Because people tend to “eat with their eyes” first, having stunning photos of your RV is extremely important when it comes to selling. Thankfully, achieving beautiful photos is much easier to attain than previously thought. With the advancements in technology and the affordability of good cameras, you can take amazing RV photos with ease and be on your way to a plethora of sales. First and foremost, having the right equipment will make or break your photos. While cell phones are nice and have come a long way, there is no comparison to using a good camera. Canon has many great options in all price ranges. You can pick up either a nice point and shoot, or if you want, you can invest in a DSLR. The DSLR has quite the learning curve, but it is well worth it for the quality of the photos you can get. Lighting is everything when it comes to photography! Make sure you are taking photos in natural daylight if possible and avoid using the flash! Light and bright photos will appeal to more potential buyers. The time of day can actually help with your lighting as well. You will get the best lighting an hour after sunrise and an hour before sunset. Mid-day light can be very harsh ( for the exterior photos at least) so try to at least get the exterior photos done early. For interior photos, open all of the windows and blinds and flood your RV with light. Take a look in your viewfinder and check out your lighting with it flooded… If it is too bright, slowly start adjusting the blinds until it looks right. No one wants to see photos of a messy RV. Before taking the photos for your advertisements, take a few minutes to clean it up. Don’t leave boxes laying around or papers on the counters. 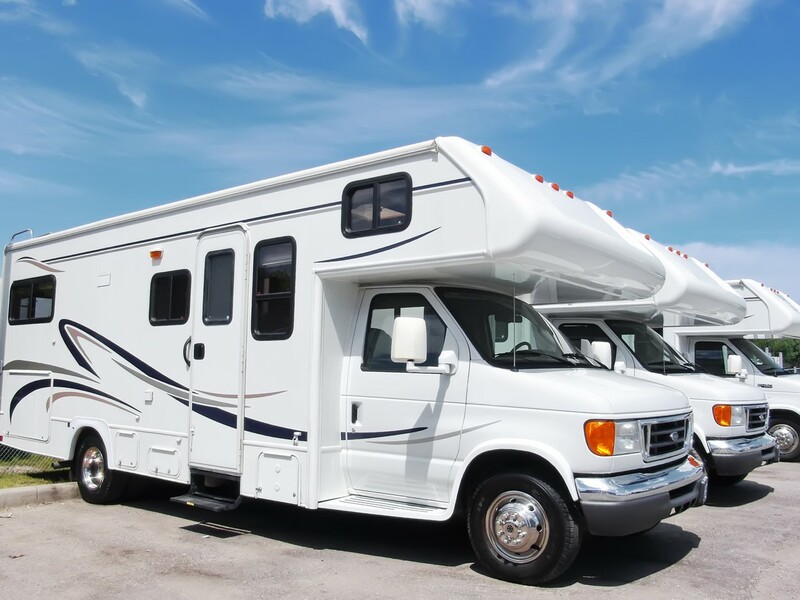 You want to showcase a pristine RV that potential buyers will fall in love with. So take a few minutes, clean up the RV and then you can snap away. Amazing RV photographs will allow potential buyers to get a real feel for the unit. You want them to feel what it would be like to be in it, and to do this you need to offer an array of photos. While yes, people want to see photographs of details and the finer things in the unit, they also want wide angled shots to be able to get a good view of the floor-plan and look of the unit as a whole. So when taking your RV photos, it is important to get shots from various angles in order to showcase the true essence of a unit and allow a potential buyer to imagine themselves in there. Something that you may not have thought about is staging. Just like when selling a home, staging can be a huge benefit when it comes to selling an RV. Many people like seeing what things could look like with their stuff in it. So staging the unit for photos can help bring out that aspect of the buyers interest. Staging doesn’t have to be too difficult either. Make sure beds are made with sheets and pillows. Maybe get some fresh flowers to set around… A nice rug, plates set on the table, etc… small things, but these small additions can be very meaningful and make photos extra appealing to buyers. Having beautiful and clear RV photos is one of the most important things you can do to help sell your units. People want to see clear, crisp photos where they can imagine themselves being in the RV itself. Ready to take the next step for your RV dealership? Contact the experts at Netsource today to discuss a business plan perfectly tailored to your needs! Photography is one of the most important drivers of generating online sales leads for RVs or trailers, yet it is also one of the most overlooked. Learn a few easy-to-use photography tricks of the trade to take photographs that will make buyers want to purchase your units. Taking effective RV photographs doesn’t require expensive equipment or lots of time, however it does take timing and a little strategy.